The release of hostages tops the agenda. 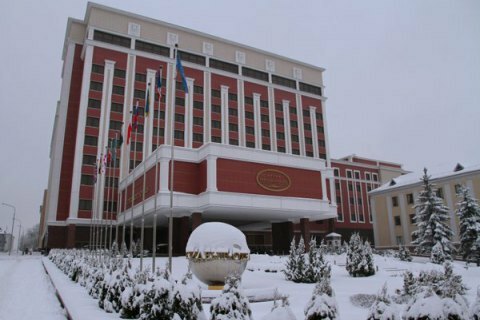 A meeting of the Trilateral Contact Group for the settlement of the situation in Donbass has started in Minsk, Darka Olifer, the press-secretary of the representative of Ukraine, a former President Leonid Kuchma wrote on Facebook 7 December. The meeting will reportedly discuss the release of 57 hostages before the yearend. The representative of Ukraine in the Humanitarian Affairs subgroup Iryna Herashchenko had earlier reported that the Ukrainian side will also raise the issue of demilitarization of the city of Debaltsevo. Previously, foreign ministers of the Normandy Four nations met in Minsk. Ukraine's Foreign Minister Pavlo Klimkin said no progress has been achieved in the discussion of the road map for the implementation of the Minsk Agreements.